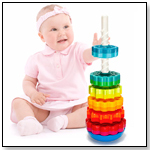 TDmonthly® - New Toys and Games: Cone Stacker from SPRIG TOYS, INC.
Other products from SPRIG TOYS, INC. 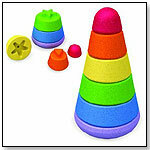 This cone eliminates the central ring from the stacking toy. Sprig toys are molded using Sprigwood, a durable, child safe, bio-composite material made from recycled wood and reclaimed plastic.